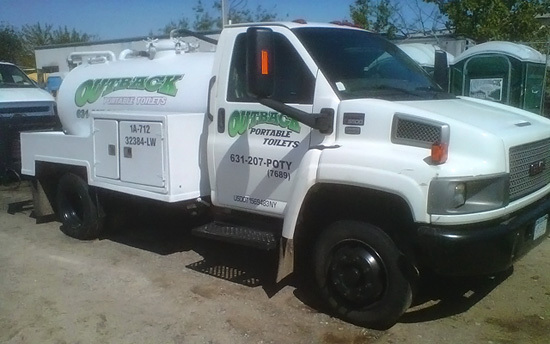 With a new fleet of service vehicles Outback Portable Toilets is able to offer the best service for your restroom needs. From once a week service to everyday service we are able to adapt to our customers needs. 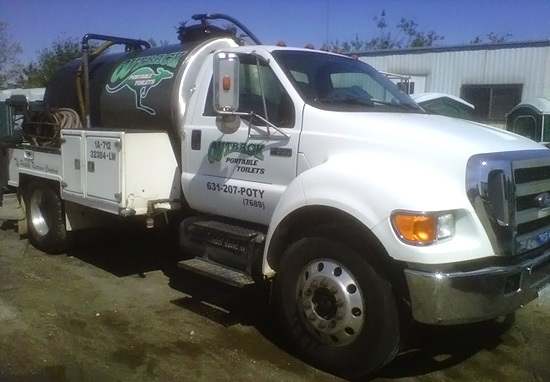 All service vehicles are equipt with hot water pressure washer’s providing a sanitized unit each service. With service vehicles GPS tracked prompt and timely service is expected. All of Outback Portable Toilets units are brand new condition providing our customers with a pleasant experience. For those family birthday parties and small gatherings, we have the perfect solution to keep your guests OUT of your home. Our standard restroom units are clean, easily accessible, and portable to place in your specific location. There is no cleanup required on your end, and the toilets small form factor keep them out of the way of the party. For larger, more formal events, a standard restroom won't work. We now offer mobile restroom trailers that provide a full, luxury bathroom in a single unit. Self contained in the units are a toilet, and sink/vanity area, giving you the privacy you need in a spacious environment. 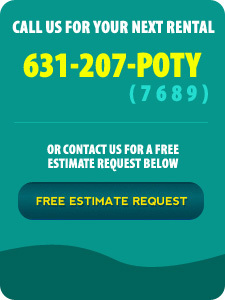 Whether it be a small home renovation or a large commericial construction project, Outback Toilets can service your needs on Long Island. We have been servicing construction projects for over 20 years, and we can help plan your requirements. All vehicles are equipped with a GPS for prompt and timely service.